Founded in 1995, Arizona School for the Arts (ASA) is a nonprofit, public charter school committed to equity and access where no prior art experience is required and all students are welcome. ASA is an innovative model in education with a concentration on college preparation through immersion in the performing arts. The school serves more than 830 students in grades 5 through 12, providing each student with two hours of performing arts education every day in addition to a rigorous academic curriculum. Founded in 1998, Chattanooga High School Center for Creative Arts (CCA) is a unique, dedicated, fine arts magnet school promoting academic and artistic excellence for students grades 6-12 and serves approximately 600 students. The college preparatory academic emphasis of the school is enhanced by a commitment to the arts as a vehicle to reinforce learning and foster creativity. Arts programs in communications, music, dance, theatre, and visual arts, plus a well-rounded academics program, direct students in a progressive pathway to a bright future. To receive the greatest benefit from CCA, students take risks, make commitments, and give their best every day. Students feel comfortable and confident that they are learning what is necessary for success artistically and academically. Excellence in every area is the goal at CCA. The mission of Fort Worth Academy of Fine Arts (FWFA) is to inspire in artistically talented students a lifelong passion for learning, empowering them to achieve academic and artistic excellence. FWAFA is a public charter school serving the greater Fort Worth area, that provides comprehensive programs in dance, music, theater and visual arts. Students are involved in a minimum of two hours of fine arts coursework each day, enabling them to embrace creativity and hone their craft. The Garner Fine Arts Academy, a Grand Prairie ISD public school of choice for Pre-K – 5th grade, challenges the status quo. The school captures students’ hearts to affect their brains. It provides students with a rigorous academic environment through arts integration while developing their health and wellness. Teaching strategies integrate the Texas Essential Knowledge and Skills into an arts-based teaching approach, and consistently achieve the highest levels of academic success on state-wide assessments. Harrison School for the Arts is an audition-based high school providing an intensive arts education experience. Harrison offers twelve arts disciplines: chorus, creative writing, dance, guitar, jazz, motion picture arts, musical theatre, orchestra, piano, theatre, technical theatre, and visual arts. Founded in 1989, Harrison has an arts-specific curriculum for each arts discipline. Howe Hall Arts Infused Magnet School (AIMS) is a nationally recognized elementary school founded in 2002 to serve the children of Berkeley County. Its mission is to include the arts as an essential component of the curriculum to optimize student achievement through a variety of learning experiences that facilitate the development of our students as lifelong learners and productive citizens. Changing lives through the transformative power of art. Idyllwild Arts’ idyllic mountain setting inspired its name. Set on over 200 acres situated in the mountain village of Idyllwild, Idyllwild Arts is a unique educational institution with a focus in all art forms for all artists of every age and level of accomplishment. Idyllwild Arts has a long and rich history of nurturing the creative talents of thousands of artists. Since the late 1940s Idyllwild Arts has been dedicated to providing the ideal environment for artists in every artistic discipline to seriously pursue their artistic passions. Idyllwild Arts Academy & Summer Program, founded in 1946, originally operated as a summer arts program for students of all ages. In 1990, it became a residential high school for the arts, with its own academic program and an enrollment of more than 300 students. The Academy is one of only three independent residential high schools for the arts in the nation, and enrolls students from approximately thirty states and thirty-one countries. Nearly sixty percent of Academy students receive some financial aid, totaling over $5.5 million annually. Upon entry, a student declares a major in one of seven arts disciplines: creative writing, dance, film and digital media, interdisciplinary arts (InterArts), music, theatre, or visual arts. Students study academics five mornings a week. During afternoons, evenings, and weekends, students attend arts classes and rehearsals, work in studios, and practice. Many of the 47 full-time faculty members live on campus. Academy graduates are represented at more than 250 colleges and universities in the U.S and abroad. Construction on school’s 206-acre rural site is designed to complement and sustain the magnificent natural environment. The Academy’s facilities and programs are funded by competitive tuition and a very generous, although small, donor pool and endowment. Inspire School of Arts and Sciences, conceived as a third high school for the Chico Unified School District, has come to embody the “culture of support and acceptance” the founders envisioned in the original charter. The school provides a unique balance of freedom and rigor; students can explore their passions through a range of outstanding arts and engineering courses, but are also held to high expectations in both their academic and elective core classes. For this reason, students, especially those who would not otherwise be successful in traditional schools, are deeply connected to the life of the school, to adult staff, and to each other. Students take ownership in community building and know it is their responsibility to live Inspire’s values and pass them on to younger students. They resonate with pride that comes not just from “being the best,” but from seeing the best in each other. The results are truly inspiring. 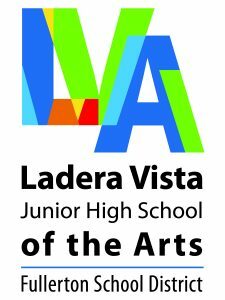 Ladera Vista Junior High School of the Arts is a center for innovation and creativity. Through the infusion of visual, performing, and digital arts, the school strives to support students in making meaningful connections in their learning. Using a unique balance of challenging academics and arts curricula, Ladera Vista students experience arts infused learning, through which they connect to a rigorous academic curriculum while integrating the arts. These courses include a strong emphasis on 21st century learning and preparedness, and 35 arts-based electives in visual, performing, and digital arts. Learning in the arts extends beyond the school day at Ladera Vista, with a thriving After School Arts Conservatory Program and Evening Classes for Families. Students participate in classes such as guitar, comedy improvisation, hip hop or hula dance, ceramics, songwriting, and stop-motion animation. The popular evening classes bring families together through a variety of arts-based experiences. These opportunities embellish learning in the arts for the entire school community. The Mississippi School of the Arts (MSA) is a public, residential high school for eleventh and twelfth grade Mississippi students, specializing in intensive arts training in dance, literary art, media art, theatre, visual art, and vocal music. The school’s mission is to provide a challenging arts education for artistically gifted Mississippi students in a residential learning environment that promotes honor, integrity, service, and life-long learning. Students at MSA are selected through audition, and receive high school academic classes required for graduation and arts classes in selected disciplines of study. Approximately 145 students representing 51 MS counties make up the school’s population. MSA is governed by the Mississippi State Board of Education and funded by the Mississippi legislature. Located in downtown Brookhaven on the historic campus of Whitworth College, MSA is a centerpiece for activity for the downtown Community, offering a vibrant environment for youth to create, imagine, and realize. North Fort Myers Academy for the Arts (NFMAA) has been designated a 2017-2020 Florida Alliance for Arts Education and Florida Department of Education “Florida Arts Achieve Model School” for providing a complete and comprehensive education that includes dance, theatre, music, and visual art education to all students. The school is a K-8 public school within The School District of Lee County. Students are given access to the schools’ arts programs through direct arts instruction and through arts infusion with the student’s academic curriculum. Students are encouraged to commit to artistic and academic mastery through their school and community endeavors. Students proudly and successfully represent the school at county and state level competitions and adjudicated events. As one of the premier arts schools in the nation, Orange County School of the Arts (OCSA) embraces and encourages artistic creativity and academic excellence. This innovative public charter school provides a uniquely challenging and nurturing environment focused on individual growth, opportunity, and diversity. The U.S. Department of Education and the National Endowment for the Arts have recognized OCSA as a model arts education program. The school is also accredited by the Western Association of Schools and Colleges (WASC). The school currently serves a culturally diverse student body of more than 2,100 students in grades 7-12 from more than 125 cities throughout Southern California. The academic faculty is fully credentialed, and the majority of the arts and academic teachers hold advanced degrees. They are dedicated and supportive professionals who help students develop the skills necessary to succeed in higher education or a profession in the arts. Guest artists and industry leaders also share their expertise and creativity with students through residencies, lectures, presentations, and hands-on training. The school is tuition-free, donation dependent. No student is admitted or denied based on financial capacity. The South Carolina Governor’s School for the Arts and Humanities (SCGSAH) cultivates young artists from across the state through pre-professional training in the areas of creative writing, dance, drama, music and visual arts. As a public, residential high school, serving juniors and seniors, students refine their talents in a master-apprentice community while receiving a nationally recognized academic education. Tuition is free for students who are accepted into the residential program. Vancouver School of Arts and Academics, a focused learning community, believes students learn best when Arts and Academics are integrated. Through collaboration and inquiry, individuals are challenged to think critically, creatively and artistically. VSAA is a grade 6-12 arts-integration magnet school. A school of choice, serving students in Vancouver Public Schools, VSAA provides a balanced and challenging academic program that is taught through the integration of arts and academics. Students are immersed in the arts through the study of dance, theatre, literary arts, moving image arts, visual art, and music. Students study all these art forms at the introductory level during their academic career and progress to the intensive, focus level classes during their high school years.